Some people travel to visit new places and some for business purpose. Whether your purpose is tourism or to enhance business London Airport Transfers are essential part of travel. 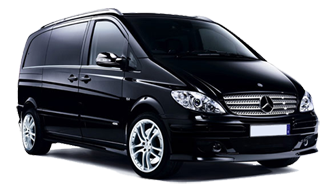 The Minibus Transfer Solution is the premier transportation company in England that provides airport transfer service. If you live in Wanstead or want to visit then choose our Wanstead Airport Taxi Transfers. Our transfer packages are economical and designed according to passengers needs. If you want to come in or go out from wanstead you can departure from different airports in London. You can Book Taxi from Wanstead to Heathrow, Stansted, Luton, Gatwick and London City Airport Minibus Hire. We provide transfer from all these airports. Our Wanstead taxis and Minicabs can make your trip outstanding. If you are looking for the private and exclusive trip then choose our taxi or minicab. In minicab you will feel relax and comfy. If you don’t want to ride vehicle by yourself you can go for Minibus Hire Wanstead with Driver. Trained and professional driver will get you to your place on time. Our driver will also protect and guide you during your travel. They know all routes in London so you will reach at your destination without wasting a minute. You can book any type of vehicle according to your need. Your seating needs will depend on the number of people in your group. You can pick 7, 8, 9, 12, 14 and 16 Seater Minibus Hire Wanstead according to your group size. Sharing a minibus with the group will save your money and you will enjoy your journey. People how are tied with budget go for minibus because it is the best option for you. We provide professional transfer services in the town. Our outstanding services make you feel happy and satisfied. We are available 24/7 so you can call and get booked your vehicle anytime. Pre-book your transfer because pre-booking will save you from the hustle. If you want to book a taxi on the last minute, don’t worry we are always there to facilitate you. If you have not booked your taxi then there are a lot of chances of wasting time in negotiation with other transportation companies.